While most of us ride with three front chainrings in order to achieve a wide gear range, SRAM has been doing its best to put the front derailleur to rest – at least on their mountain bike drivetrains. 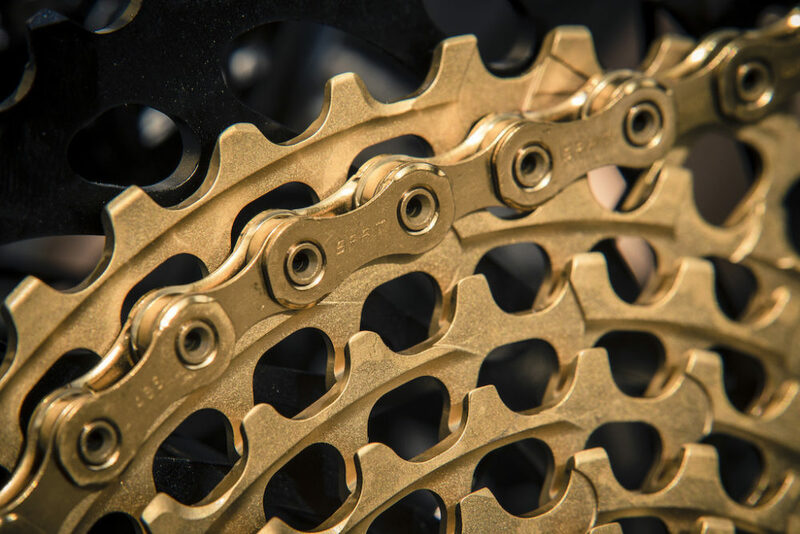 It was 2012 when SRAM released their first 1×11 drivetrain to the world, using a 10-42 cassette in conjunction with a narrow-wide chainring profile to create drivetrain without a front derailleur. 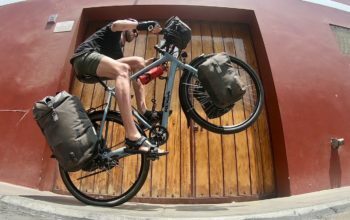 Amongst mountain bikers, 1×11 was labelled a ‘game changer’ and we’re slowly seeing 1x drivetrains on adventure touring bikes like the Specialized Awol Comp, Rawland Ravn and Kona Sutra LTD.
SRAM’s new 12-speed drivetrain has a 500% range. 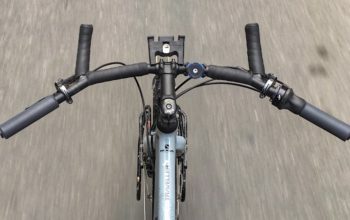 What’s Special About 12 Speed SRAM Eagle? The new SRAM Eagle 1×12 employs a huge 10-50t cassette, offering a range of 500% across the drivetrain. To put that into perspective, a Rohloff hub offers 526% and a typical touring triple around 550%. If we’re talking gear inches, a typical touring bike could use a 38t front chainring with the Eagle cassette and get a 21-104″ range. 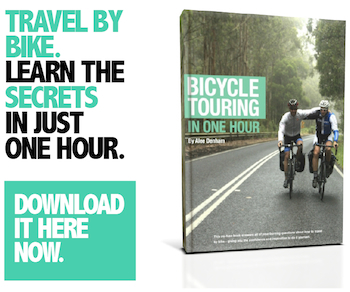 That’s good enough for most climbs with panniers, but you will miss out on a few gears if you’re motoring down a hill. There are a few catches here. 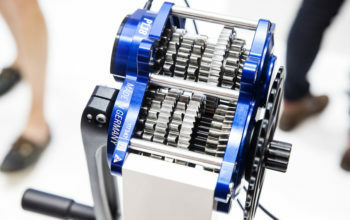 The first is the price of this drivetrain – it’s currently sky high. Considering that many of us cover some pretty serious ground, the 5000-10000km life expectancy of a US $360 cassette (yes, that’s three hundred and sixty dollars) is pretty hard to justify. 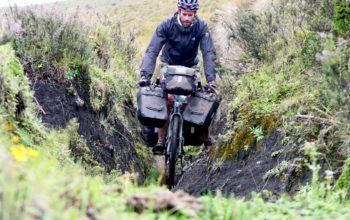 It’s kinda fine for mountain biking where the terrain prevents you from riding far, but 5000km can equate to 2x month long tours for some people. 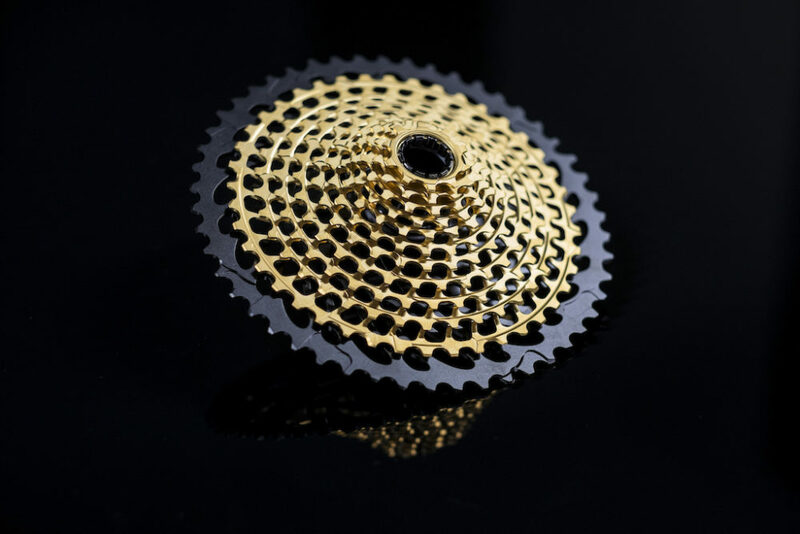 You will need to use a different freehub body on your wheel for the 10-50t cassette. It’s called an XD driver and it’s only available on some hubs. To complicate matters further, SRAM Eagle is also 12 speed; you won’t be finding any spares in shops for a while yet. One other gripe could be that there are significant jumps between each gear. Sometimes you just want to modify your gear slightly for an uphill rise. The Eagle works out to be about a 16% average jump per gear, compared to 12% on a 11-34t touring cassette, or 14% for a Rohloff hub. And finally, there is no 12-speed shifter for road handlebars. This drivetrain is limited to flat bar bikes only. 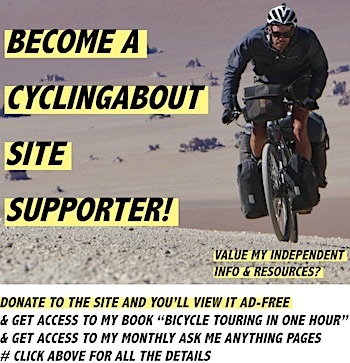 Is There a Cheaper Way to Go Front Derailleur Free? 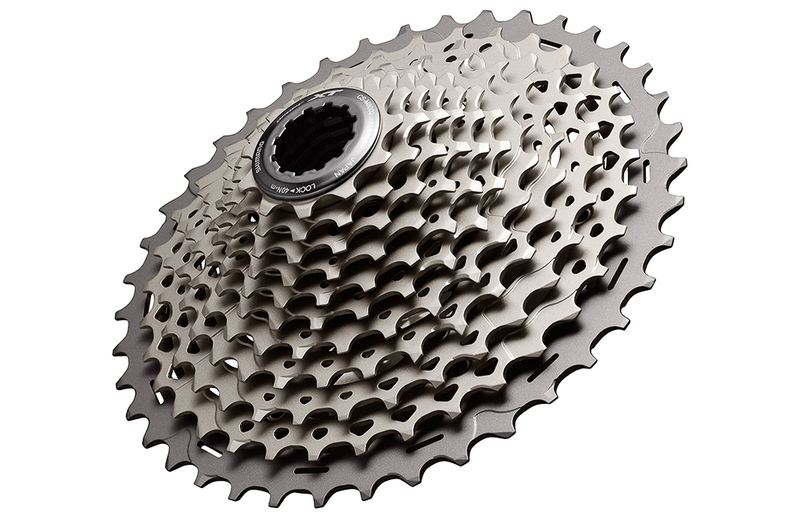 Shimano have recently announced an 11-46t cassette which will fit onto a standard drivetrain. 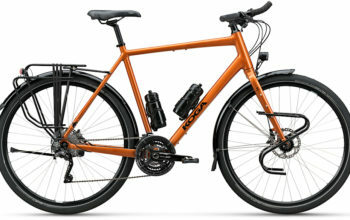 It offers 418% range, so it won’t quite stretch to give you both the small and large gears, but it will get you a 21-89″ drivetrain which has you covered for hills. Or you could gear it to 27-114″ which will give you more top-end if that’s your thing. Better yet – you don’t need a special hub driver, plus this XT-level cassette will likely be available for a QUARTER of the price of the SRAM Eagle (sub-$100). The only downside is that it will come with a significant weight penalty. Shimano’s 11-46t cassette will be much more affordable when it is available in an XT spec. Is SRAM Eagle A Good Touring Drivetrain? SRAM Eagle is cost-prohibitive, it requires a specific freehub body and has rather large gaps between gears. That said, this kind of tech will filter down to lower level components which will make it more affordable in the years to come. SRAM’s NX level 11-42t cassette is available from just US $79 right now (full 1×11 drivetrain is US $310), if that’s any indication.